Do you feel like Spring is just flying by? Summer magazines are on newsstands, wardrobes feature lighter layers, and new yarns are on the horizon! In this blog post, Fairmount Fibers would like to spotlight a few new patterns in Manos del Uruguay yarns. The Canyon Lace Tank, by Kristen TenDyke, is included in the Summer 2016 Love of Knitting. Manos Serena is a beautiful complement to the lace panel and flattering shaping. Dress it up or dress it down, you will get lots of wear out of this tank! 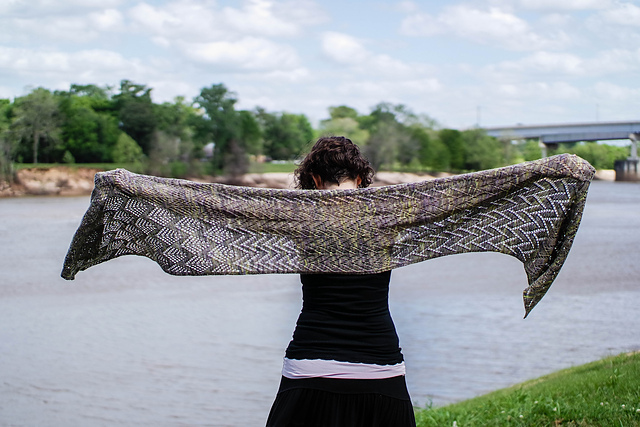 Strip of Paisley, by Lana Jois, is a rectangular stole featuring a paisley lace pattern and mesh lace borders, knit with two skeins of Manos del Uruguay Fino. 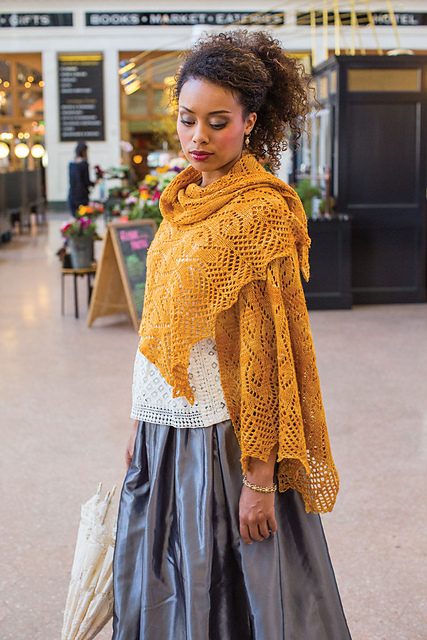 Look for it in Interweave's Knitting Traditions. The Red River Wrap, designed by Kephren Pritchett, represents the Twin Cities of Pineville and Alexandria, in the geographic center of Louisiana. Worked from end to end, in Fino, this rectangular wrap or scarf features three lace patterns that transition seamlessly from one to the next. Are you looking for a baby shower gift? Go beyond basic with the added flair of swaying waves or angular shark teeth with Vickie Howell's Ruffle Bum Diaper Covers in Maxima. The pattern is found in Vickie's new book, Wee Garter Stitch: Must Have Knits for Babies & Toddlers. We look forward to seeing your projects on Facebook, Ravelry, Instagram, and Twitter!